Faye Rapoport DesPres was born in New York City, and over the years she has lived in upstate New York, Colorado, England, Israel, and Massachusetts. 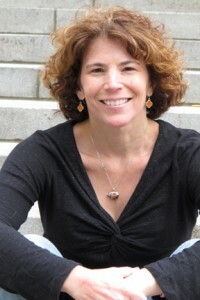 Her personal essays, fiction, book reviews, and interviews have appeared in a variety of literary journals and magazines, including Ascent, Connotation Press: An Online Artifact, Eleven Eleven, Fourth Genre, Hamilton Stone Review, Necessary Fiction, Platte Valley Review, Prime Number Magazine, Superstition Review, and the Writer’s Chronicle. Her award-winning short story “Who Let the Cats Out?” is included in the Mystery Times Ten 2013 print anthology, and her first full-length book is a memoir-in-essays titled “Message from a Blue Jay” (Buddhapuss Ink, May 2014). Faye currently lives in the Boston area with her husband, Jean-Paul Des Pres, and their cats. Life experiences and events inspire me, emotional moments or days inspire me, great books by other writers inspire me, and nature inspires me. I try to write early every morning, but sometimes life gets away from me and I have to either alter that schedule or miss a day or more. Generally, I find that writing goes best if I allow myself to freewrite informally at first, without worrying about the final product. I expect to write and revise many drafts before I’m really satisfied with a piece of writing. Also, I try not to be tied to a pre-determined notion of what the particular piece is about; the meaning I find in a story often changes as I work on and revise different drafts. I also try not to be attached to any particular sentence or paragraph; no matter how “good” I think it is, if it doesn’t serve the text, out it goes (even if I save it thinking I might use it for something else in the future). There are times when I have to set aside a piece of writing for days, weeks, or even longer before I can go back to it and figure out what wasn’t working and what I really want to say. Read and write as much as possible, and don’t worry too much about rejection or criticism (especially at first). Be open to critique from writers, readers, or teachers you respect, and take the rest with a grain of salt. Try not to be defensive about your work; even if you’ve worked on something for a long time, if it’s not working, be open to ideas (your own or the ideas of others) that might help you improve it. As with almost anything, the more you write the more chance you give yourself to get better and to get to the point where you feel like you’re writing to your potential. Keep at it — don’t give up unless you aren’t fulfilled by the process of learning to write and writing. I felt strongly that I wanted my book to be published by a traditional publisher. I felt that this would validate the work in a professional way. I have nothing against self-publishing, but I felt that I needed the support of a professional publisher who knew how to format, design, release, distribute, and market my book. I couldn’t be more thrilled with my publisher, a small press out of Edison, NJ called Buddhapuss Ink. I think more and more readers will use e-readers and other electronic means of reading books as time marches forward, although I hope there will always be a place for “the real thing.” I hope that the industry finds a way to sustain both itself and the authors who populate it — it’s very difficult to make any kind of financial headway as a writer unless you are one of the lucky few whose books really take off and sell many, many, many copies.